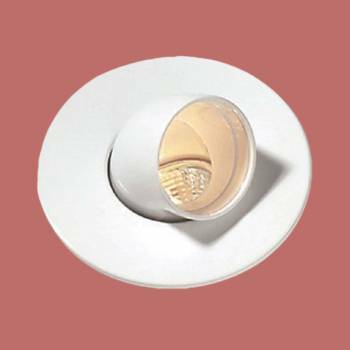 Once installed, these lights are recessed in your ceiling, and provide direct halogen lighting. Spot light, can and bulb included. Connector included as well. 5 d x 2 3/4 h. Halogen spots include canister with glass light, easy change MR16 bulb, for your electrician to install to your transformer. Canister is 5 1/2 deep. take 12 Volt MR-16 bulb. not included.